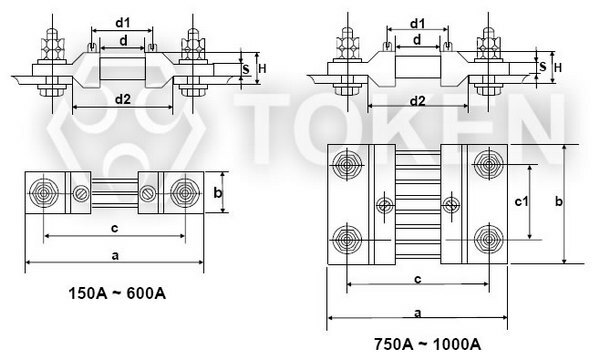 Token's Current Shunts (FL) aid precision measurement and high-current applications. Current shunts are low resistance precision resistors used to measure AC or DC electrical currents by the voltage drop those currents create across the resistance. 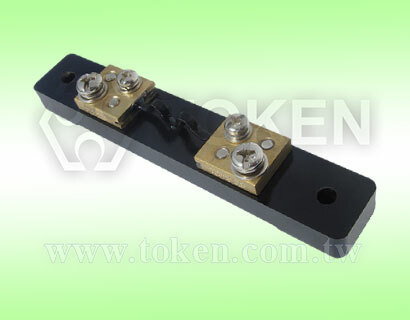 Sometimes called an ammeter shunt, it is a type of current sensor. 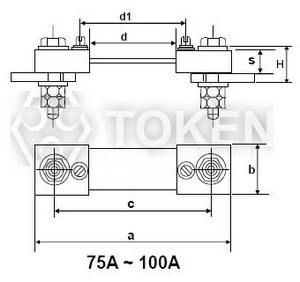 A wide range of precision shunts, designed for use with kilowatt-hour meters and other high-current applications where a high level of accuracy is required, is now available from Token Electronics. 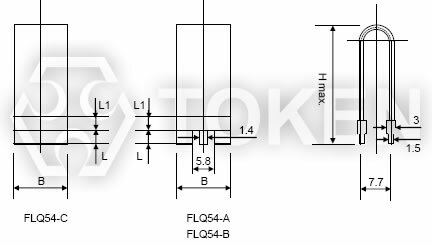 The interchangeable shunts (FL) are used to multiply the measuring range of measuring instrument and designed for PCB and busbar mounting, are manufactured from electron beam welded copper and manganin, and have low temperature coefficients. Featuring low inductance values, shunts FL series can handle permanent currents of up to 10000A at voltage 75mV. 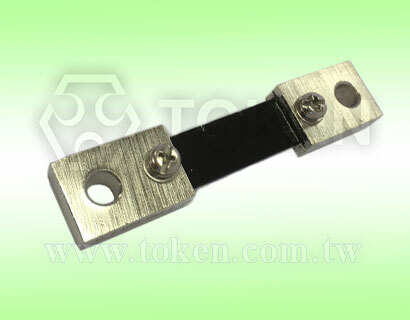 FLQ-54 type shunt is made of precision alloy board. It's copper terminals spot welded by silver alloy ensure extremely high electric capability. 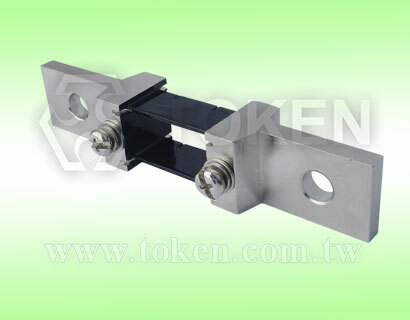 The construction provides a kind of excellent stability and high overloaded ability non-inductive resistor, applied widely as current limited, current balance or sampling sense in communication system, electric equipment and auto-controlling electrical circuit. 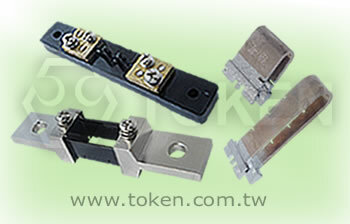 The FL Series is available in bulk packaging and is RoHS compliant and lead free. For non-standard technical requirements and special applications, contact us with your specific needs. 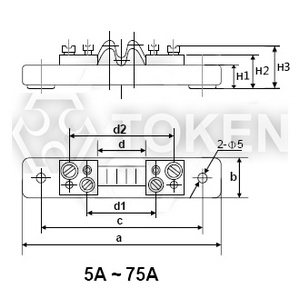 Download PDF Specification Low Resistance Precision Current Shunts. The heat produced is power measured in Watts (W). Current shunts dissipate heat from the current flowing through them, when they get hot. In practice current shunt is often rated to be used continuously at only 2/3 of their "rated current". Since that heat can change their resistance and even permanently damage the shunt, so it is often given a power rating or a derating factor. By inserting a current shunt into a circuit to get the current you want to measure while the voltage dropped across the shunt. Then knowing the resistance of the current shunt you can calculate the current by using Ohm's law. Rated Voltage Drop 50mV, 60mV, 75mV, 100mV. Over Rating Capacity 120% of rated current for 2 hours. Giving Out Heat When Loaded Not be more than 80°C at rated current of below 50A. 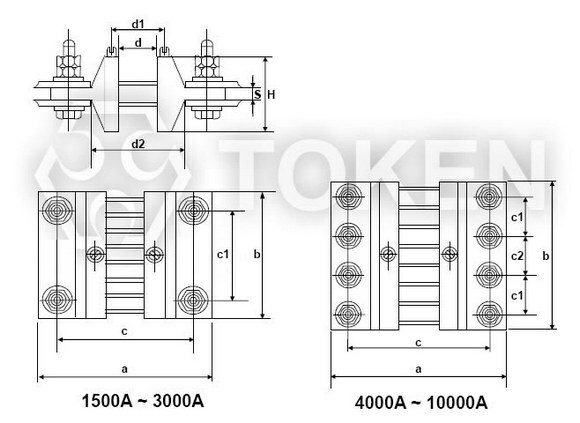 ; not be more than 120°C at rated current of 50A and over 50A. Capacity to Withstand Mechanical Force It is capable of withstanding the transport bumping at acceleration of 70m/S2 and shock frequency of 80-120 times/min for 5 hours.